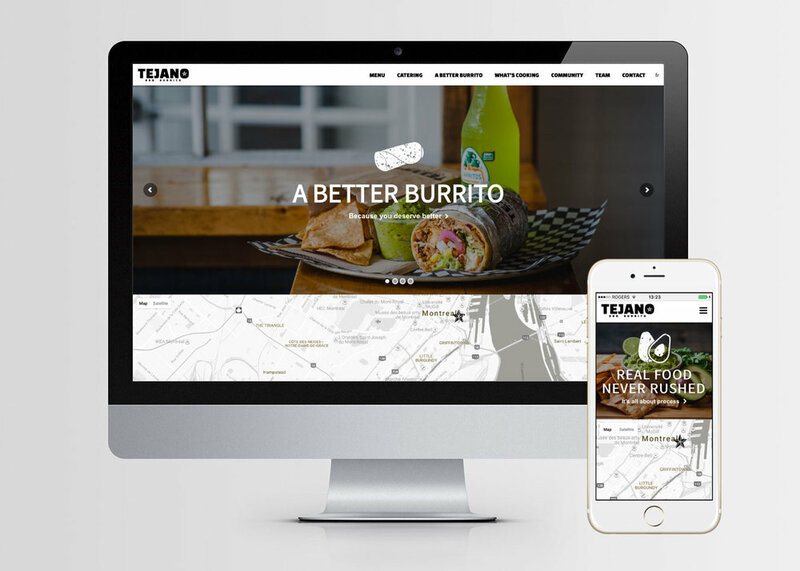 A budding fast-casual burrito concept looking towards their second location and beyond, Tejano BBQ Burrito wanted professionalise and harmonise their brand—online and in store—in order to support and propel their expansion. Employing a cumulative strategy, we began by unearthing and developing the story Tejano wanted to tell. Product and process were already established, and our primary goal was to refine, refresh and reveal a more fleshed out brand identity in an authentic and straightforward manner representative of their personality. First determining core values and strategy, we shifted focus to the elements required to convey Tejano's identity and enhance customer experience. To serve immediate and long-term requirements, we spearheaded the development of a graphic brand package (including signature font sets, colours and iconography) and complete photo-visual asset base. Providing a much-needed refresh to the original St-Henri location and with view toward next locations, we created simplified and brand-right menu boards (designed to streamline the ordering process and promote combos & up-sells) and added a bold splash of the brand's signature red oxide. 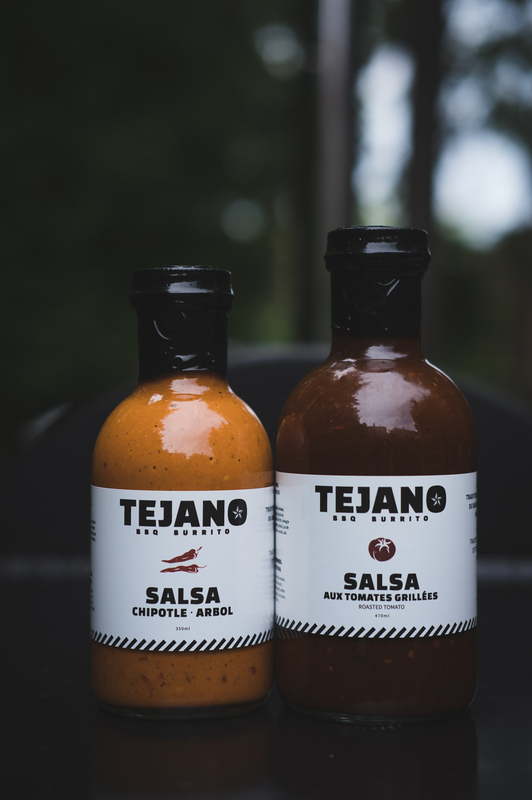 With momentum building and construction of Tejano's second location underway, the interconnected content, graphics and photography culminated seamlessly in the creation of product packaging for house-made salsas, a newly engineered catering program/menu, and the main attraction—an all new website. Clean, vivid and straightforward, Tejano's new web presence emphasizes the brand's mission, process and values, and is loaded with content and visual narrative. Designed to serve as solid-yet-flexible foundation of a brand primed for expansion, it was critical that the website not only reflect the quality of the Tejano's product but also embody the simplicity and interactive nature of the concept itself. To that end, we custom designed a layout and features that would allow for users to quickly and easily find what they're looking for, and dynamic menu and catering pages that mirror and add richness to the ordering experience. Launched in conjunction with the opening of their new location in Montreal's Old Port, the all-new tejanobbqburrito.com and catering program rounded out Tejano's bold new brand assertion. Genuine, uncomplicated and accessible, Tejano BBQ Burrito boasts a brand foundation with a clearly defined vision, values and personality. Geared to engage customers and team members alike, Tejano's newly engrained culture is primed to fuel its forward growth and development.